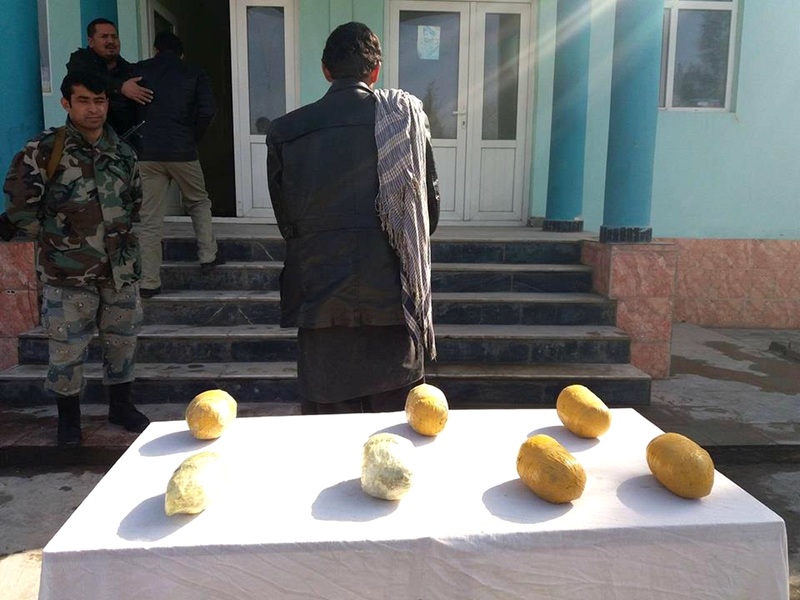 KABUL -- Afghan authorities are taking concrete steps against illegal drug trafficking to squelch a major source of income for militants and terrorists. The Afghan Taliban make an estimated $100m to $300m (6.9 billion to 20.5 billion AFN) per year off drugs, according to Dutch counter-terrorism analyst Tomas Olivier, Deutsche Welle reported. The Ministry of Counter Narcotics on June 26 -- the International Day Against Drug Abuse and Illicit Trafficking -- set July 18-22 as a week of national mobilisation against drugs. Government officials held meetings and launched an awareness campaign. A number of sporting events took place nationwide as part of awareness raising about the dangers of drugs. Drugs and terrorism have a close relationship, officials said during a meeting in Kabul July 17. "Illicit drugs fund terrorism in Afghanistan, causing public distrust of governmental institutions, while undermining the legitimate economy and governance of the country," Vice President Mohammad Sarwar Danish said at the meeting. "Armed opposition groups are the biggest smugglers and supporters of poppy cultivation and illegal drug production in Afghanistan," he said. 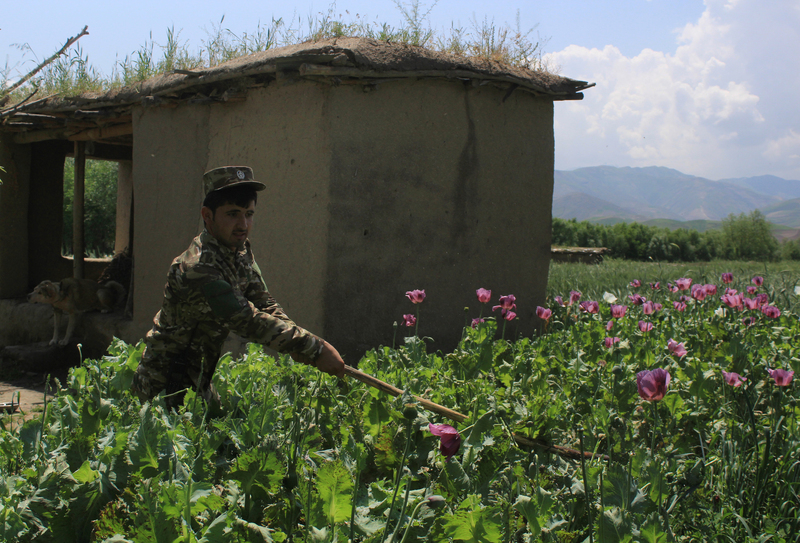 Militants reap huge profits by forcing farmers to cultivate opium poppies, said Sefatullah, 21, of Helmand Province. "About 80% of the profit goes to the Taliban," he said. Coercion is not the only factor benefiting the Taliban drug trade, government officials say, noting that ignorance of drugs' harmful effects and a lack of law enforcement also help the Taliban. "Policies and laws regarding illegal drugs need revisions," Counter Narcotics Minister Salamat Azimi said at the July 17 Kabul meeting. The ministry will be introducing amendments to those laws soon, she said. Officials note the government's commitment to defeating drugs. "In the past 16 months, the Special Anti-Drug Force conducted 3,522 operations against drug traffickers," Deputy Interior Minister for Counter-Narcotics Baz Mohammad Ahmadi said during the July 17 meeting. "These operations resulted in the arrest of 3,672 smugglers," he said. "In addition, 435 tons of various kinds of drugs, alcoholic drinks and chemical materials used to turn opium into heroin were seized and destroyed. Moreover, 20 heroin production factories were destroyed." Drug addiction is a serious problem nationwide, observers concede. 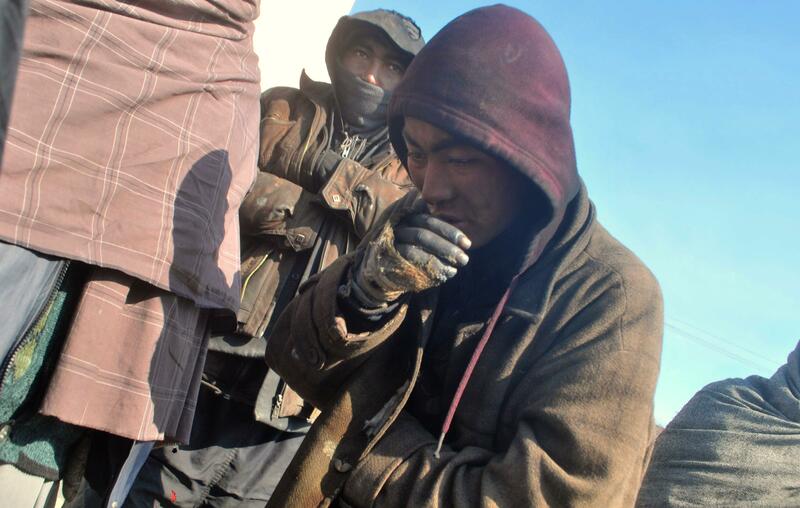 About 3.5m Afghans -- out of 31m -- are addicted to drugs, according to official statistics. Encouraging youth to exercise is one way to fight drug use, Kabul-based civil society activist Obaidullah Yousefi told Salaam Times. "We held running and bicycling races among our [organisation's] members in order to encourage young people, especially women, to participate in sports," Yousefi told Salaam Times. "We also want to inform them about the harmful effects of illegal drugs, so that other young women and men will become interested in sports and stay away from drugs," he added.